When you think of lizards you might think of sun, scales and pretty colours. But do you think of loving married couples, live birth and caring for the kids? No? 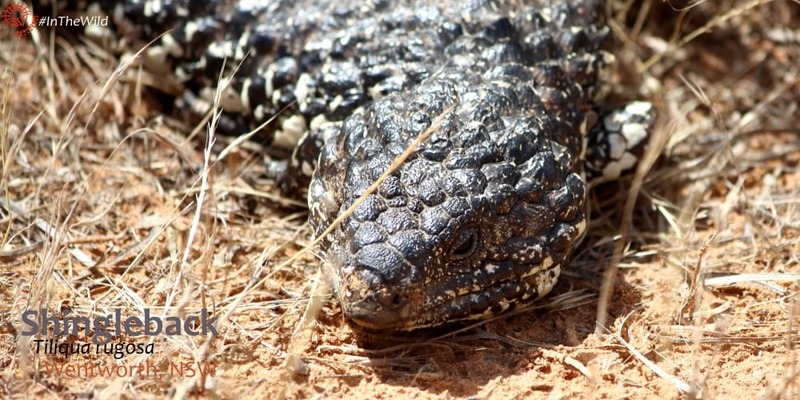 Okay, then let me introduce you to the Shingleback Lizard of Mungo in central Australia. Walking on the sandy track near dry Lake Mungo last September, I heard a soft sound. 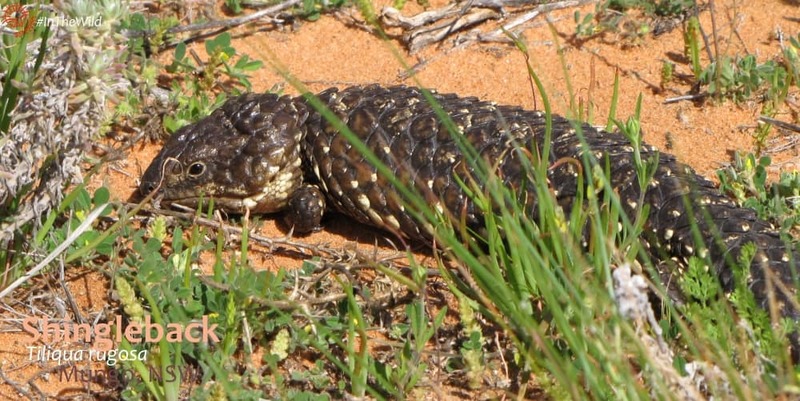 Just near my feet the cumbersome body of an adult shingleback lizard was trying to hide under a weedy bush. I stepped back a few paces, then realised there was another lizard on the other side of the bush. This pair had been basking in the sun together, like an old couple on a beach holiday. 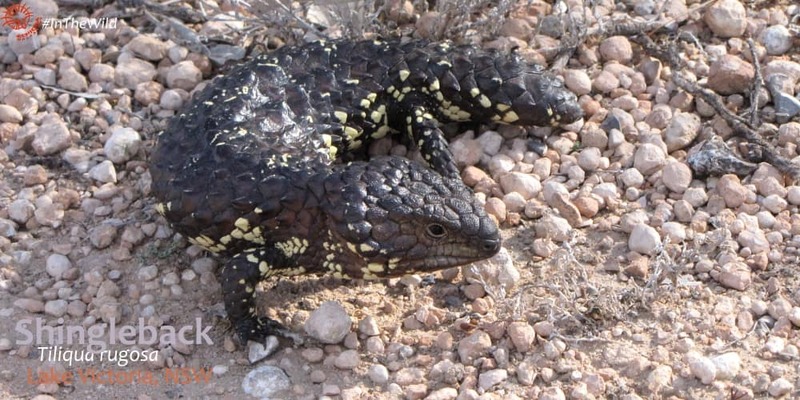 The shingleback is a type of skink, but they are huge – about 30cm (1 foot) long. Their tail is short and stubby and accounts for two of their many common names: Stumpytail or Bobtail Lizard. Unlike most skinks they have lumpy, ridged scales – which gives them another of their names: Pinecone Lizard. 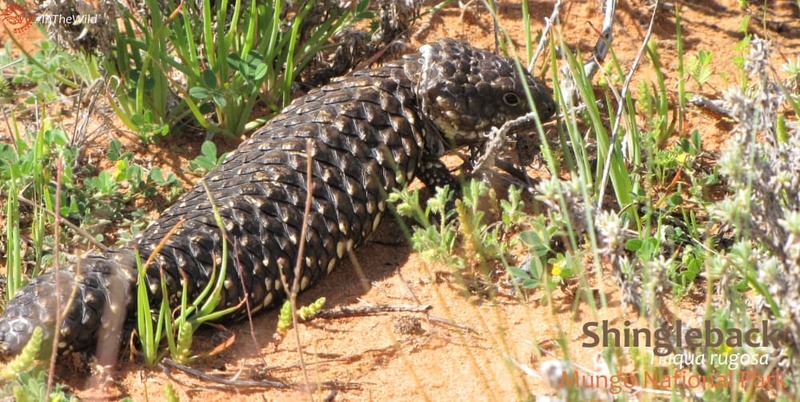 Shinglebacks don’t do anything fast, and that includes their love life. The couple I was watching might have found each other 20 years ago, and formed a life bond. Every spring they spend the breeding season together. Some years they had young, some years they didn’t. 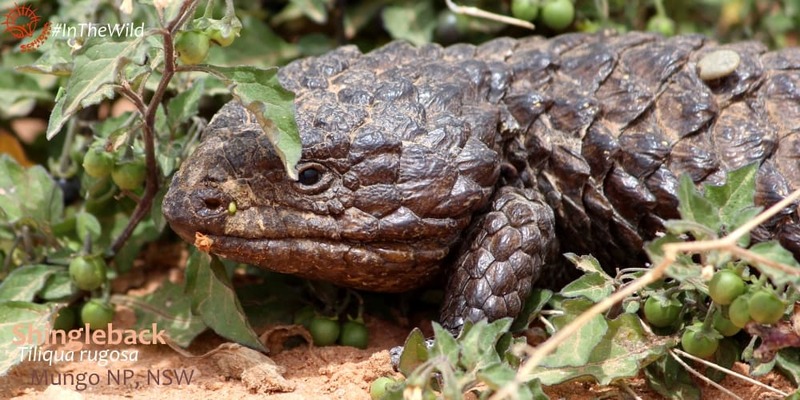 When you read what the female goes through to give birth, you can understand why she might miss a year or two of child-bearing: Lizard suffers the worst pregnancy. Either of them could be 50 years old, which would make them older than me. But then, nearly everything at Mungo is old! Read how Mungo has been home to families for millions of years. 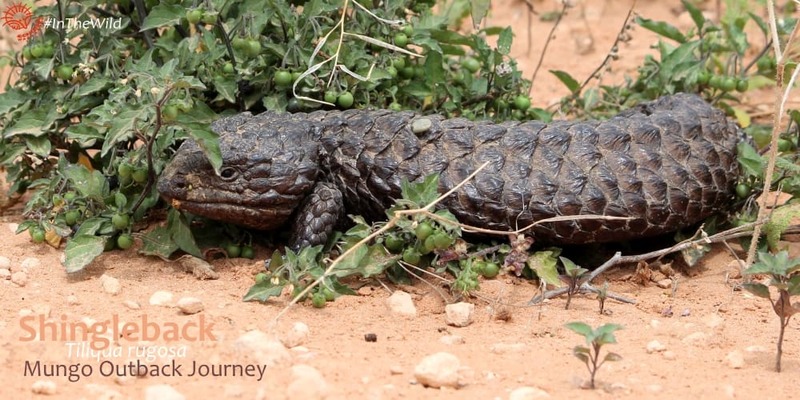 Mungo Outback Journey 4 day tours in March, April and September, October, November have the best chance of seeing Shingleback Lizards.